Impact Silver President and CEO of Impact Silver joins me to provide a general recap of the recent new discovery at the San Ramon Mine in Mexico. We discuss the follow up work that will be undertaken to verify and build this discovery. From a production standpoint Fred shares how the Company is navigating the general downturn in silver. Click here to visit the Impact Silver website for more information on the recent discovery. Please feel free to email me with any questions for Fred or I regarding the Company – Fleck@kereport.com. (IPT) (ISVLF) Impact Silver is one of the better run Jr Silver producers, with very large exploration upside and nice upside (and downside) torque to the Silver prices. It will do better than average when the Silver miners take off as evidenced each time there has been a bounce in the miners over the last few years. Thanks Cory for the interview. Yes, IPT is very well-run in my opinion. For example, management has a long history of keeping fund-raising to a minimum and doing so when the price is strong. Way too many managers in the sector dilute shareholders horribly, which diminishes leverage to metals prices. The P&F price objective is $3.50 and it will very likely get there sooner than most think (but maybe not soon enough for many shareholders!). 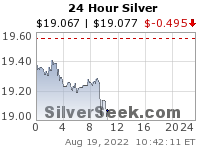 One thing is almost certain; when silver gets going, IPT’s moves will be large and worth the wait. Always liked the company – practically free at these levels. 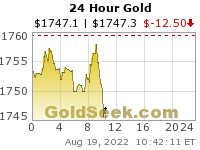 If more news are coming in Sept I’d buy some before the doldrum ends and everyone buys in on more discovery news. July – quiet month – barely moved on substantial news at San Ramon. It looks like the dip in canopy was just that, a dip. ipt like the rest of my list is/has been doing zip. Im certain its one that will take off when the time for jrs happens. Thank you for this update, Cory. This stock went to $1.00 or so in the 2016 run up. I think it will be a big winner with a rising silver price.